The most beautiful and most challenging courses are located in the Apple Isle. So pack your clubs, tees, and balls and start planning your own amazing Tassie golfing adventure. 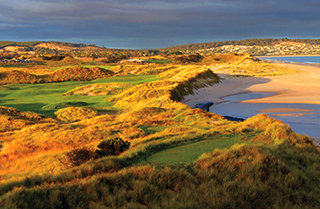 Tasmania is home to two of the World’s Top 100 Golf Courses – Barnbougle Dunes and Barnbougle Lost Farm where the breathtaking landscape mirrors the wild coastal links courses of Scotland and Ireland.